“Usage of methamphetamine nationally is at an all-time high,” says Erik Smith, Assistant Special Agent in Charge of the Drug Enforcement Administration’s Kansas City, Kan., office. “It is back with a vengeance.” he says. “And the reasons for that are two-fold.” The drug’s now stronger, and cheaper, than it used to be. 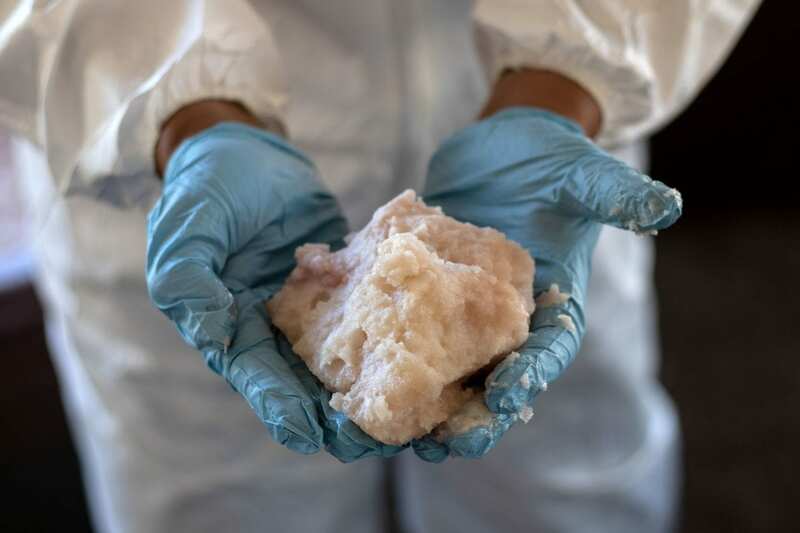 No longer chiefly made by “cooks” in makeshift labs in the U.S., methamphetamine is now the domain of Mexican drug cartels that are mass-producing high-quality quantities of the drug and pushing it into markets where it was previously unknown. But even in rural communities ravaged by decades of experience with the drug, meth is on the upswing, thanks to its relatively low price, availability, and a shortage of treatment options. Southeast Missouri is often called “the Bootheel” because that part of the state resembles a heel-like protuberance into Arkansas. Locally-produced meth started taking hold in the Bootheel in the 1980s, in little towns like Qulin, where it snared generations of residents like Dustin Siebert. Siebert says he’s been off meth for four years, but he says many people in the town of 450 residents have never been able to fully shake it. Amber Windhorst, the school social worker in Qulin, agrees. Not to mention theft, prostitution, and a recent outbreak of Hepatitis A. Law enforcement agencies say drug cartels are pumping cheap, potent methamphetamine from “Mexican superlabs” through established heroin and cocaine distribution networks. Sgt. Mark McClendon, of the Missouri Highway Patrol, says meth is reaching places and people it never did before. “The meth problem has basically exploded a across every race and social economic class that you can imagine,” McClendon says. But at least in Missouri, drug policy isn’t keeping up. The state prioritizes opioid addiction over methamphetamine addiction, making intensive treatment for uninsured meth users hard to come by. And, in contrast to opioids, clinicians have no government-approved medications to help treat methamphetamine addiction. He founded his own group — the Matthew 25 Project. On a recent Thursday night, a little over a dozen people — a mix of those addicted to meth, some recently weaned off the drug and others just offering support — met in a stark white room at the Qulin Assembly of God church. Siebert preaches that God made lots of people with addictive personalities, but intended them to be addicted to religion. “We’re supposed to be addicted to him, and the things of the Kingdom,” Siebert tells the small group. He maintains that limiting access to drugs only creates demand for other drugs.